Are you a Library Goddess?...Would you like to share your thoughts on books, materials, fundraising, advocacy, programs, web 2.0, leadership, and other aspects of librarianship with the rest of the library community? 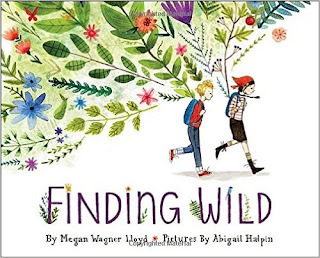 This picture book is an extended poem on the different types of wilderness to be found. Sometimes it's obvious, other times you have to look for it. And sometimes it's one extreme or another: forest-fire hot or icicle cold; smooth as the petals of poppies or as rough as the fierce face of a mountain. What does wild give us? Berries, honey and snow. How does it sound? It roars, hisses, barks and brays. Sometimes the wild hides from us (in the city), but it's never far away. The text and the illustrations in this book are nicely matched, showing a boy and girl encountering the different terrain, vegetation and creatures. A quick and lyrical read for young children. After a long day at the beach, Lucy's mom reads her a bedtime story and falls asleep. Mom manages to get to bed, but Lucy is now wide awake with the moon shining in her room. How will she ever get to sleep? Lucy sneaks past her sleeping dad on the living room chair to get her bear Molasses. The other stuffed animals with Molasses look lonely; can they come too? She carries the whole group to her room. Tucked into bed, the animals yawn sleepy yawns with Lucy. 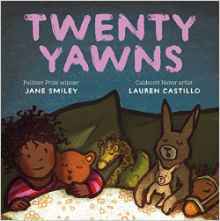 This is a familiar tale of a long day, turned into a sleepy series of yawns. Lauren Castillo's simple and cute illustrations show the basic emotion for the story. Plum has lots of favorite things—catching sticks, her bear, her bed—but really, LOVE is her absolute favorite thing. She loves her family and all the things they do together. Sometimes, however, Plum’s exuberance causes trouble, and she just can’t help being naughty. But fortunately, love is such a great thing that even when she makes mistakes, Plum’s family still loves her. “The trouble with having a tiny elephant for a pet is that you never quite fit in." Even though today is Pet Club day the members have decreed "Strictly No Elephants". They don't seem to understand that pets, just like friends, come in all shapes and sizes. 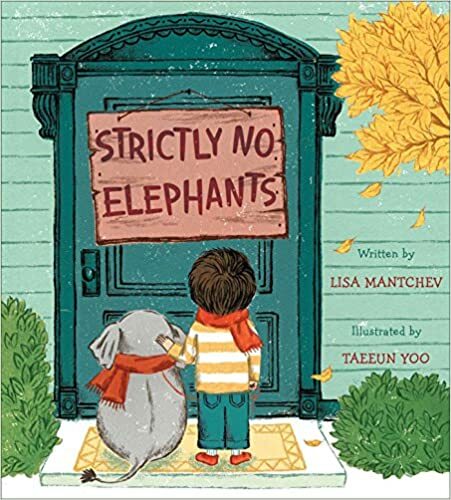 That won't stop a boy and his tiny elephant from showing them what true friendship means. 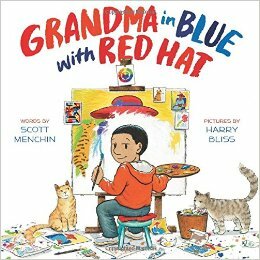 Gorgeous watercolor and pencil drawing along with a clever and quick story make this make this an excellent storytime read. 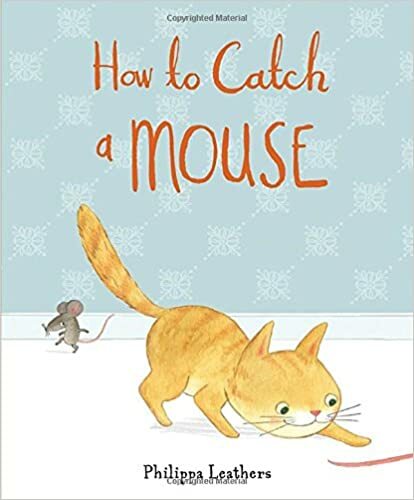 The little ones will enjoy looking for the mouse on every page as it sneaks past the unsuspecting cat, Clemmie. Will Clemmie ever catch that pesky mouse? A boy is taken to a museum art class by his grandmother. Each child in the class gives the teacher a reason why a piece is in the museum. "It's beautiful," says one. "It tells a story," says another. And "It's unique," says a third. The boy realizes his grandma is all these things and more. He's inspired to donate her to the museum, but soon finds that's not possible. Instead, he paints and sculpts portraits of his grandma and has an exhibit. While that's a lot of work for a child, it's wonderful to think that he would be thoughtful, talented and diligent enough to pull it off! Nonetheless, there's humor in the illustrations by Harry Bliss and the book provides an introduction to art appreciation for younger children. 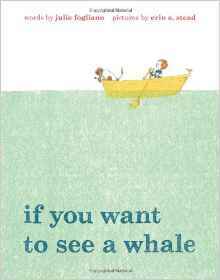 This picture book is a sweet and quiet book about looking for a whale. But really, it's about more than that. 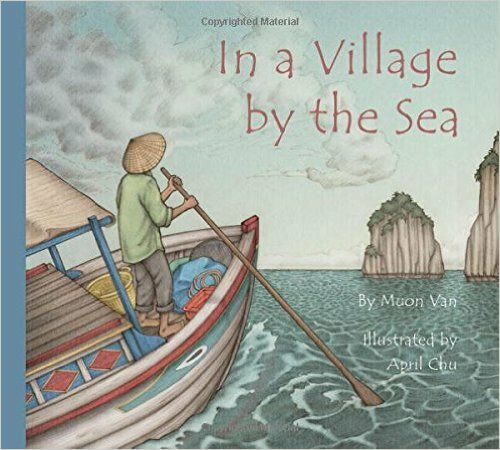 A boy and his dog are depicted throughout, looking for the whale but get distracted by things: pelicans, roses and pirates among them. The text is poetic and somewhat nonsensical while the sparse illustrations match the book's tone perfectly. At the end, the boy and his dog meet the whale, a reward for being so patient and focused. Even large creatures (and objects) are sometimes hard to find. Mr. Tiger is "bored with always being so proper." All the other animals are so stuffy and formal. Slowly, Mr. Tiger loosens up and starts to get wild. He goes down on all fours, climbs, runs and roars until finally he loses his clothes all together. His friends are annoyed and suggest he go to the wilderness if he wants to be wild. And so he runs to the wilderness where he gets to do all his wild activities. But Mr. Tiger becomes lonely and misses his city friends. He returns to civilization to find that his friends have loosened up a bit, giving Mr. Tiger the best of both worlds: friendship and freedom. 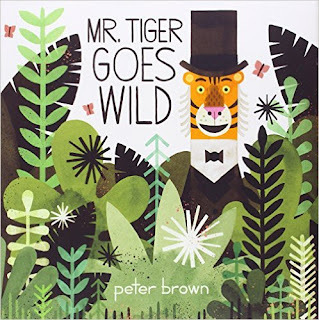 The illustrations in this book are brown and slightly drab in the beginning, and get colorful toward the end as the animals get wilder. 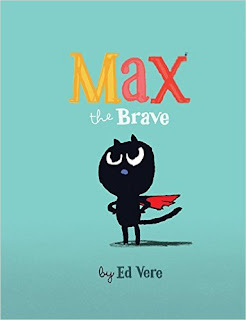 The subtle and humorous message is for kids to be themselves. Peter, his dad and his dog Harold move to a house near the woods. Leading to the woods from the backyard is a bridge which makes Lenny nervous. To help guard the bridge, Peter assembles a man named Lenny out of pillows, blankets and some clothing. Peter and his dog sleep better, but now he thinks Lenny is lonely. So, he builds Lenny a friend made from leaves and names her Lucy. This makes Peter sleep better and the next day he has lunch with Lenny, Lucy and Harold. Along comes the neighbor Millie, who has binoculars and asks if Peter has ever seen an owl. At the end, Peter is no longer afraid of the woods and has made some friends, both imagined and real. The illustrations by Erin E. Stead are mostly in shades of gray, with the woods depicted as a series of dark stripes, conveying a stark tone. By contrast, the characters are in color showing their warmth. 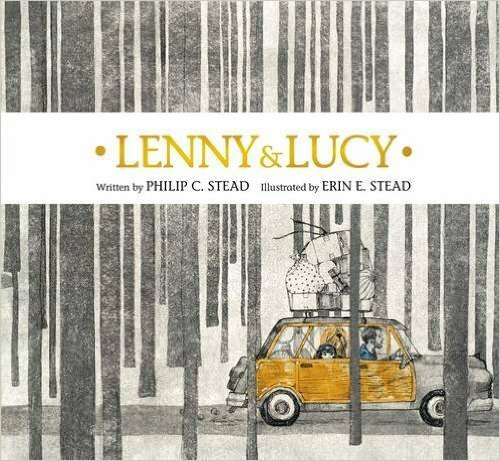 A good book for kids who are moving, afraid of the woods or the dark. 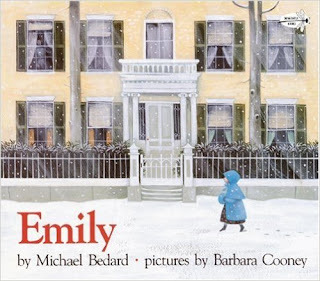 This book is a fictionalized account of a neighbor girl encountering Emily Dickinson, or "the Myth" as she is known. The girl's mother is invited to play piano at the Dickinson home and she tags along. Through her quick and quiet interaction, the girl realizes that the reclusive Miss Dickinson is a nice woman with a deep poetic nature. Barbara Cooney's folky illustrations capture the time period perfectly and give the book a haunting quality. 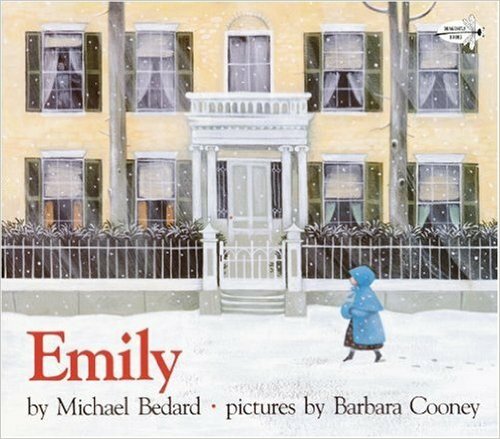 A nice introduction to Emily Dickinson for older children. 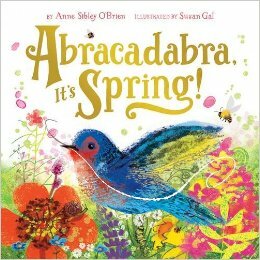 This book is a colorful celebration of the changes that happen in spring. Rhyming text with magical words like "Alakazam!" and "Hocus-Pocus!" encourages the reader to open the flap. Hidden under them are the signs of spring: crocuses blooming, birds chirping, leaves unfurling, and a nest of eggs waiting to hatch. The illustrations by Susan Gal are loose and fun, showing the difference between winter and upcoming spring. Recommended for preschool through kindergarten. When Rose wakes up one morning feeling royal, she dons her necklaces, bracelets, and crown. Soon the Queen of France emerges to survey her domain. The text is at once both quiet and lively, creating a three-dimensional character. It will read easily for the first or one hundredth time-it's a story that will never grow tired. This is a story about a boy who wants to escape the nighttime noise at home: the dog barking, baby sister crying, and radio blaring. He suits up, prepares a picnic and heads into space on his rocket. Once on the moon, he's relieved it is silent and empty. After eating his picnic and exploring, the boy remembers the earth and misses his sister, dog and other parts of home. The boy zooms home and hears the noises again, finally glad to be home in his bed. 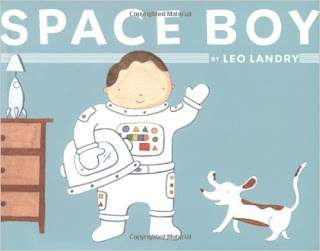 A simple bedtime story for little ones who like outer space. 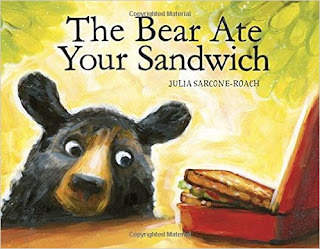 This picture book starts out as the journey of a bear from the woods to the city; lured by berries in the back of a truck. Wandering innocently around the city, the bear thinks he's still in a version of the woods, with places to scratch his back, climb posts and sniff good smells. One of the smells comes from the playground where he finds and eats a sandwich. Filled up, he climbs a pole and sees his home island from the perch. Bear stows away on a boat back to the island. Or does he? The surprise ending is a cute explanatory twist on what happens to things that get lost, eaten or broken. The illustrations of the bear wandering the city are comical and sweet. 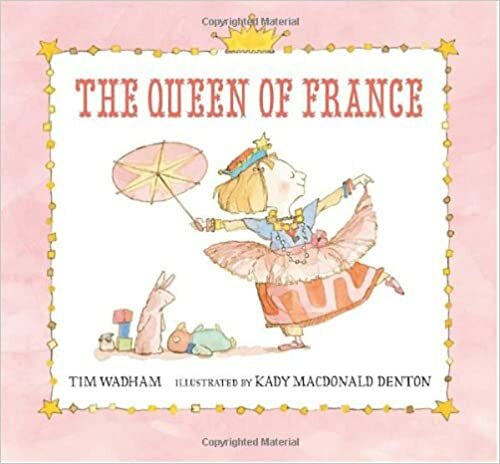 A cute book for ages 3-7. Louie loves watching his young master paint, and when the boy puts his finishing touches on a particularly good self-portrait, Louie barks enthusiastically. One day, when the boy is at school, Louie tries his own paw at painting a still life. Is this purely an accident, or is Louie a "genius," just like his master? Born a ninja, Nina exerts her power from the start by karate chopping the doctor. 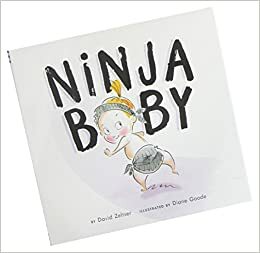 Soft but detailed pen, ink, and watercolor illustrations play up the tongue-in-cheek text on every page, as independent Nina takes control of each situation until Nina gets a sibling and she meets her match. It's time for dog brothers Cooper, Hooper, and Zoomer to get ready for school, but Zoomer doesn't intend to go today. He's busy doing a variety of ridiculous things: blowing the world's largest bubble, making a giant sand brontosaurus, building a dog-food castle, and more. Penguin finds another penguin to love when he comes upon a purple and green knitted mitten in the snow and searches for its owner. 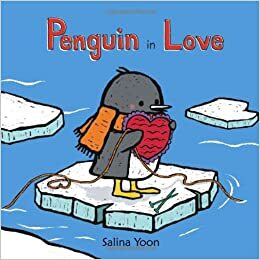 In her third "Penguin" picture book, Yoon's characteristic, digitally created artwork employs a simple, colorful design with figures outlined in thick black lines, making them clearly visible during storytimes. 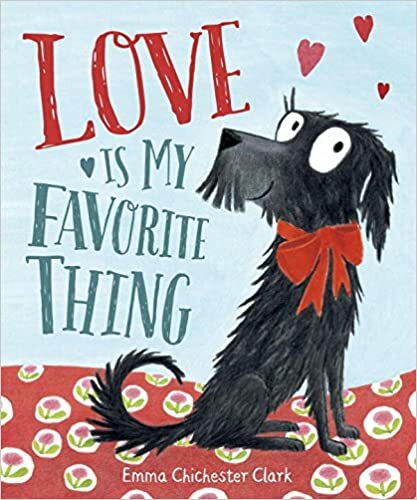 This book introduces kids to a day in the life of a picture book author from the viewpoint of her dog. He thinks: where is she going, what is she doing and when will she ever take me on a walk? The dog is her helper, muse and companion. Without the dog you suspect that the author wouldn't get out to find new ideas, or get fresh air and exercise. 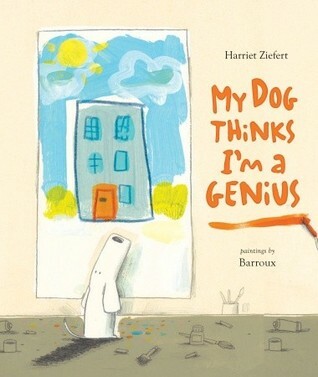 At the end of the book, the author visits a classroom and leaves the dog alone most of the day. She comes home to take him on a walk. "The author rubs two happy ears. A tail wags. 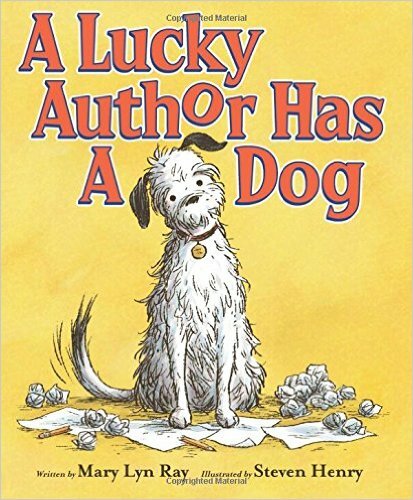 A lucky dog has an author. 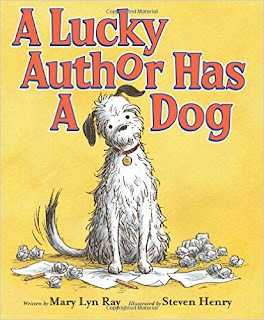 And a lucky author has a dog." This is a quiet book about a fisherman and his family in Vietnam. The fisherman longs for home as the storm surges and the family waits in their village for his return. The writing is sparse, but uses a "nesting" technique in which the reader starts in a larger scene, scopes downward to a small scene and then scopes out again. In this case, the book travels from the sea to the family house and the mother cooking. While the baby sleeps, the family dog is shown looking through a hole in the floor where a cricket is painting a scene of the fisherman, battling the stormy sea. The reader then telescopes out to the sea again where the fisherman gazes at his family's photo and finally returns to the village. The illustrations are very soft, detailed and lovely. Overall, a good book that introduces children to other cultures, and the universal emotion of family longing. 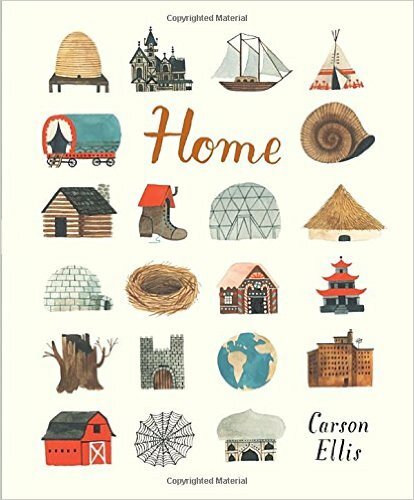 In this tribute to homes, Carson Ellis writes about the many types there are: wigwams, boats, lairs, palaces and shoes, to name a few. The illustrations are whimsical and folksy: showing knights riding seahorses, a Norse god structure, an alien's home on the moon etc. These fanciful depictions open a child's mind to all the real and imagined homes there could be. At the end she shows herself (the artist) working at home, with a lot of the items depicted in the book. A final question to the reader: "Where is your home? Where are you?" 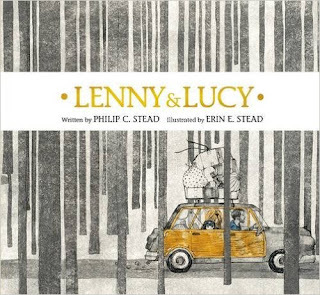 This simply illustrated and charming book deals with mistaken identity. Max is a brave kitten who knows he's supposed to chase mice. The only problem is, he doesn't doesn't know what a mouse looks like. Max goes around asking various creatures: "Are you a mouse?" until he finally finds a real mouse who calls himself a monster. The mouse then directs Max to the real monster he has just declared "the mouse". Max has a brief, but somewhat scary encounter with the monster/mouse and escapes. 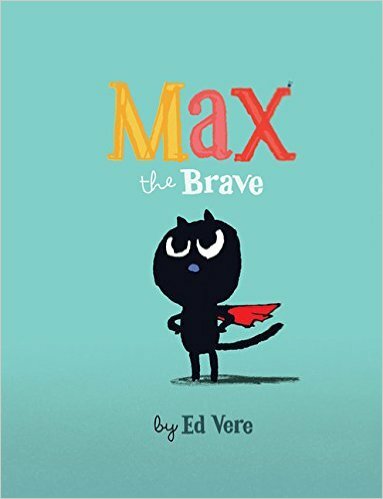 The ending is adorable and fitting for Max the Brave. In this musical whisper of a book, various animals settle down for a winter's nap, assured that spring will wake them to reenter the warmer, more active world. Each page features a lullaby with language quirky enough to raise a smile. 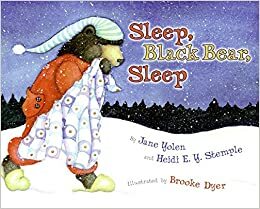 The rhyme scheme is as lovely, and Brooke Dyer's ineffably sweet watercolor illustrations only help to enrich this bedtime story. Detective Small may be short in stature, but he is long on brains and sleuthing skills. 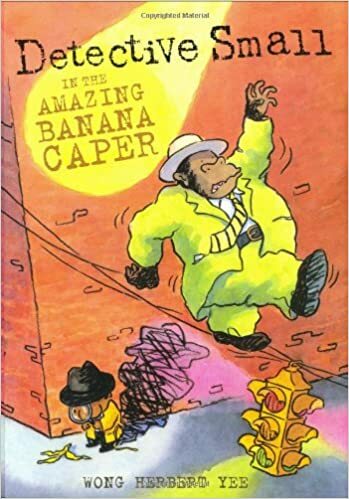 The police need his expertise to solve a theft—all of the bananas in town have been stolen. 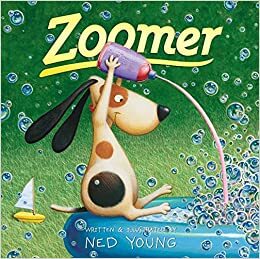 The rhyming text in this book creates an infectious, bouncing rhythm that will appeal to many youngsters. 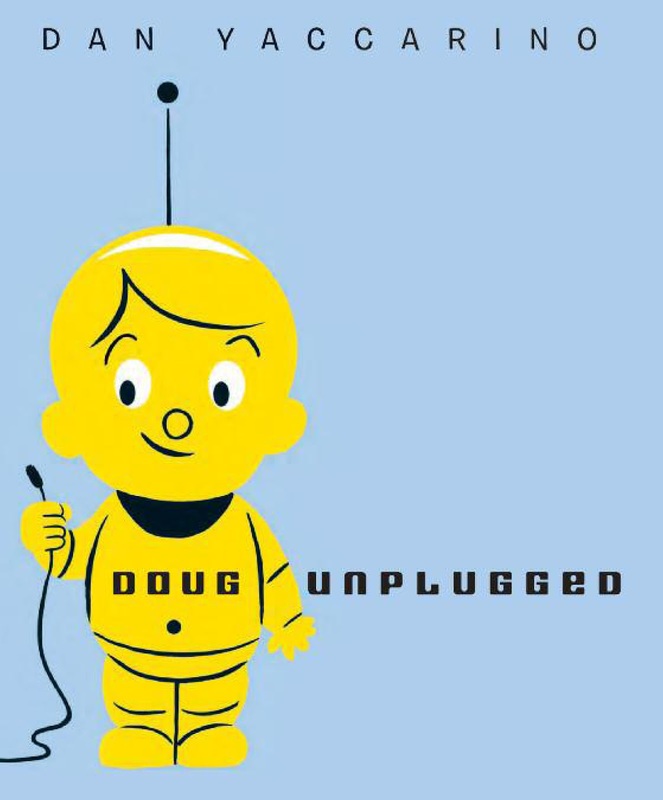 In a world in which human and robot families live together, Doug is a robot. As his parents leave for work, they plug him in so he can download lots of facts. One day, while learning about the big city, he decides to unplug from his program and experience it firsthand. Yaccarino’s gentle humor, whimsy, and panache is on full display in this picture book celebrating the difference between virtual and real-life learning.